← I Like The Hustle & Bustle, But I Need This More. Things I Didn’t Do At Five and Seven. 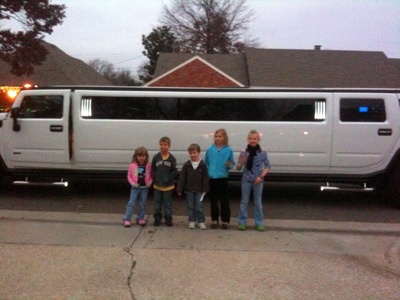 My kids were invited to tour our city’s Christmas lights in style this weekend. John Henry enjoyed the ride, too. But, he seemed to talk about the gingerbread cookies most. We were definitely cut from the same cloth, as they say. Whoever “they” are. Kris and I enjoyed a night out alone together. He was gracious enough to take me to the mall, along with the rest of metro area, to shop for a pair of jeans. A very fun experience in my condition, indeed. Then, he did what every good husband does for his wife. He fed me. Date nights with your spouse are so essential to a healthy marriage. And, I mean date nights sans children. Set aside time to be alone together. You’ll be glad you did! 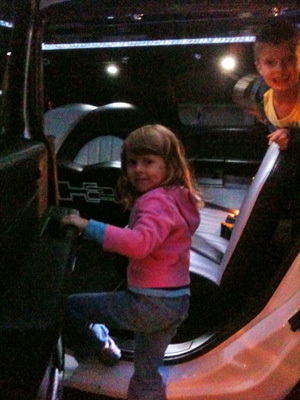 They were riding like “Big Dogs”… Looks like they enjoyed theirselves ALOT!!! We did this last year, but only made it to chickasha. We saw how long the lines were and how late we would get home and scrapped it. The limo was fun none the less. So glad your kids had fun!